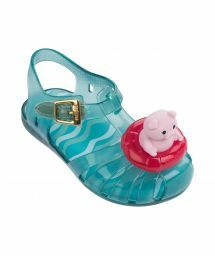 You outstanding and comfortable beach shoes? Check out or latest collection! 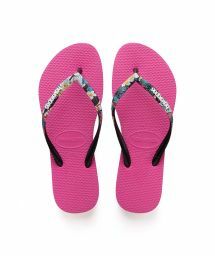 You will find most trendy flip flops, sandals, espadrilles, ballerinas and much more! Beach shoes are a perfect complement of a summer outfit. At the Brazilian Bikini Shop website you will find a very wide range of these. 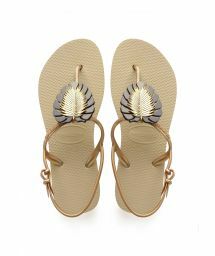 Beach shoes in offer come from South America, mainly from Brazil which is a country where such kind of footwear is used all year round! The shoes are first of all beautiful - in South American countries a lot of attention is paid to the aesthetics. 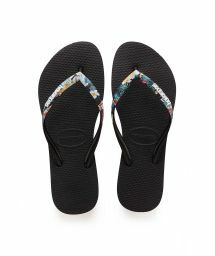 Second of all, they are very durable – in some regions summer lasts almost all year and the beach season is very long. 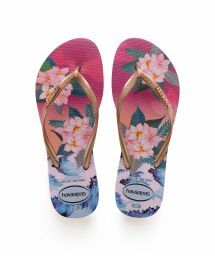 In our offer you will find flip flops, slippers, sandals, espadrilles and other models such as ballerinas, high heels or platforms. 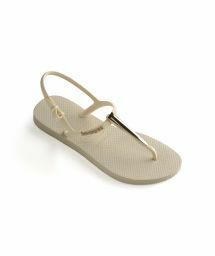 Brands such as: Havaianas, Ipanema, Zaxy or Melissa have many trendy proposals in their collections. These brands patented original materials which is used in the production process. These materials have been developed using the latest technologies and have many advantages that our feet will appreciate especially in the summer! 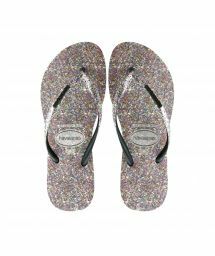 Slippers, flip-flops or espadrilles? If you are looking for comfortable and trendy summer shoes for men check out our offer! Feet deserve special treatment especially in summer when the temperatures outside are very high and the sun shines for many hours during the day. The best summer shoes are mainly flip flops but sandals and espadrilles also deserve a special attention. 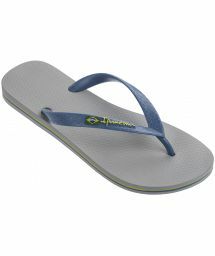 On the Brazilian Bikini Shop website men will a wide range of footwear designed especially for them. 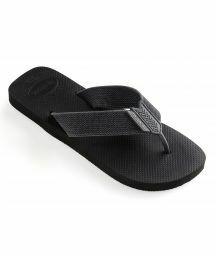 Brands such as Havaianas, Ipanema and Rider have taken care of men’s feet. Their proposals are mainly flip flops and espadrilles, which can be worn all summer long. The footwear in our offer is made of specially selected natural materials and carefully developed synthetic ones. Moreover, it is exceptionally comfortable, as these materials are not only durable but also feet friendly - they protect them from abrasions caused by permanent contact with the shoe even at very high temperatures. Beach shoes for men which you will find in our offer stand out for their attractive design and are available in many sizes. Men's feet need some rest, especially in the summer, when shorts and light shirts become our favorite clothes. It is also worth to think about the appropriate summer shoes. Slippers, flip-flops, sandals and espadrilles are the perfect solution. All these models, for thousands of years and in various forms, have been an inherent part of the men's summer wardrobe. The shoes that you will find on our website come mainly from Brazil, where the manufacturers know very well how to provide comfort while taking care of the right style. Men's summer footwear must be primarily comfortable, breathable and most importantly healthy for the feet. In our offer you will find many models that differ considerably from one another but what they have in common are all the features mentioned above. 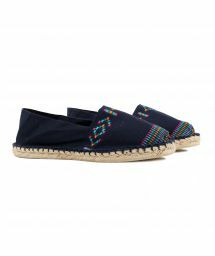 As summer footwear for men must provide rest for feet flip-flops and male espadrilles are the ideal solution to feel relaxed and at the same time give your feet some rest. 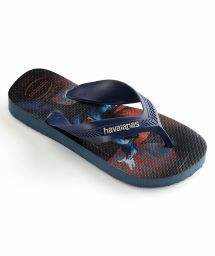 Brands such as Havaianas, Ipanema and Rider offer summer shoes designed for long wearing and walking. Their ergonomic shape provides the comfort. Flip-flops and espadrilles are made of specially developed synthetic materials and natural fabrics that do not rub the skin nor stick to the foot and allow it to breathe. 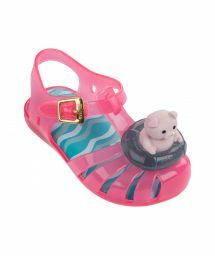 They also prevent the shoes from slipping on wet surfaces. 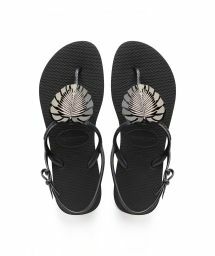 Havaianas espadrilles have a sole made of specially developed rubber, which is used to make the flip-flops, while the upper part is made of colored canvas. Most importantly, all shoes are extremely easy to put on, usually they are slung on the foot. 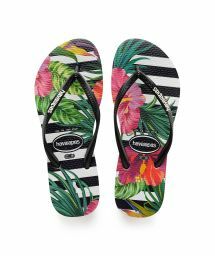 They come in various colors and prints, and as for summer footwear fit, the sole adapts perfectly to the shape of the foot. 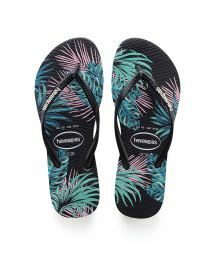 Men's summer shoes, which you will find on the Brazilian Bikini Shop, will be perfect to travel, sightseeing or for any trip. They can be worn with shorts or linen trousers. They will also look good with sports shorts and a comfortable T-shirt. They are universal and take up little space in your luggage when traveling. Once purchased the model will serve you even for several years.